I've decided to make this a project of mine; I'm going take pictures for the project relevant to the overall Highway 7 Kitchener to Guelph Freeway! 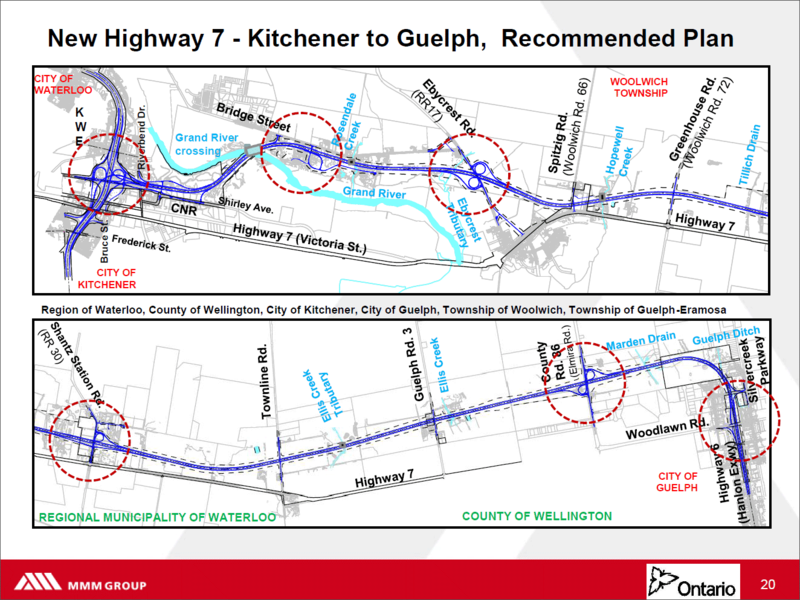 For those unfamiliar with the project, highway 7 is currently a two-lane road most of the way between Kitchener and Guelph, and is among the busiest two-lane roads in the province. Sections within the cities are four or five-lane arterials, but these still have many stoplights. From what I've heard, about half of the project's cost is around the Hwy 85 interchange. It's going to be an impressive four-level stack, and it'll be only the third one in Ontario. Here's a map of this interchange. The following paragraphs will relate to the Kitchener side of the project. So... from what I've read the next few steps are as follows. 1) The Shirley Ave widening and realignment. Currently, Shirley Ave does a strange dip to the south near the Wellington St intersection. Shirley Ave is going to be changed to simply head straight to the Wellington St intersection, with the remaining "bent" portion left as a cul-de-sac. 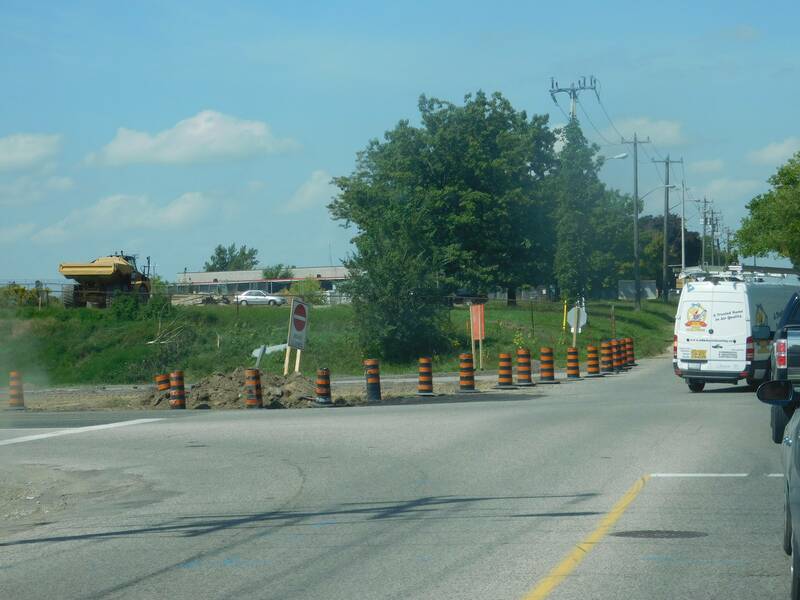 Also, Shirley Ave will be widened to 4-lanes plus a centre-turn lane (just like nearby Bingemans Centre Dr). ^ Shirley Ave will end up going straight through the grass in this picture, and the road on the right will become the cul-de-sac. 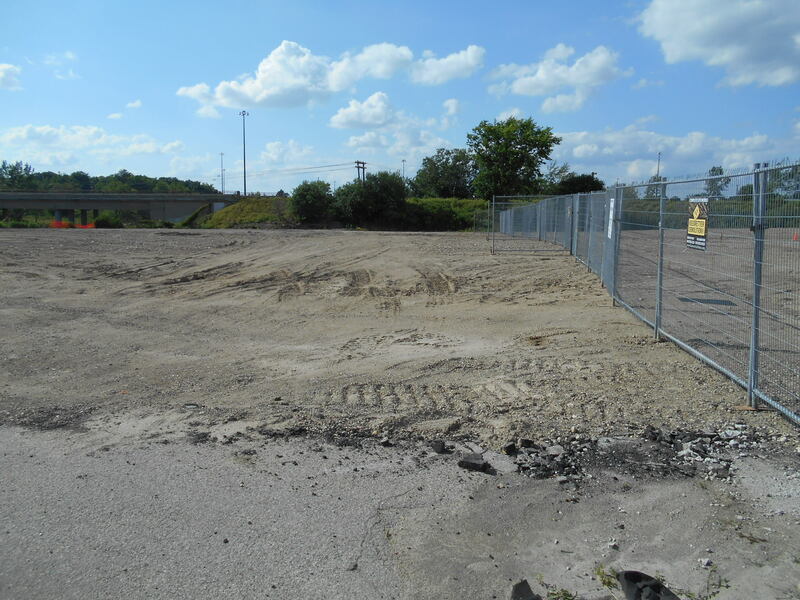 ^ Shirley Ave will go behind that parking lot instead of bending to the left (Sorry, this photo's a bit blurry). 2) Victoria St bridge demolition, rebuilding the bridge with a longer span to accommodate future ramps, and widening to add a centre-turn lane. Relocation of utilities on the bridge is supposed to start this year and be wrapped-up by April 2017. Construction of the new bridge should start in 2017. Tender opening date for that project is July 12, so a contractor has not yet been brought on board for that phase of the project. Assuming all goes well, work should start in the next few weeks. Thanks for the update, I hope it starts soon. The current Shirley Ave-Wellington St intersection with the all-way stop is not sufficient during rush hour. It'll be nice when the traffic lights are put in. I seriously thought this project was cancelled / moved back. I couldn't find anything on it. Perhaps I didn't look hard enough. It's going to be an impressive four-level stack, and there's only one other one in Ontario IIRC. Here's a map of this interchange. Although that's correct, aren't the 403/410/401 interchange loops just about done? They've been working on that for what seems like forever. That would make that interchange a four level stack. So this one will the third in Ontario (and maybe Canada?) when's it's done. To be honest though, although this project is probably needed, I'd really like to see more twinning in the north. Whatever happened to the 17 twinning west of Kenora? Kenora-Rainy River MPP Sarah Campbell introduced a motion for the completion of the Highway 17 twinning project from the Ontario-Manitoba border to Kenora on Thursday, May 19. The motion asked that Minister of Transportation Steven Del Duca take all steps to ensure the project is completed by 2020 with updates provided on its status to the House every six months. All MPPs that spoke during the debate said they supported Campbell’s motion. 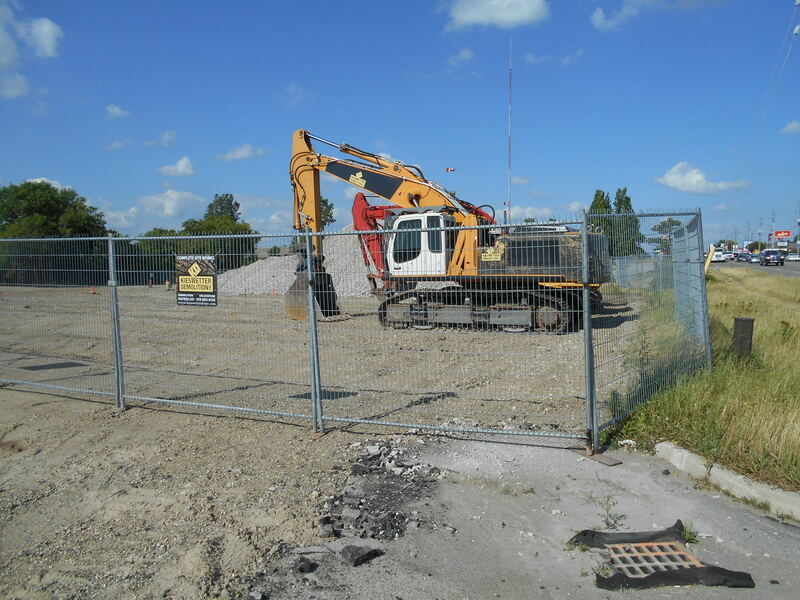 Liberal MPPs Kathryn McGarry and Marie-France Lalonde both said the government “remains committed” to the project, but did not give any specific updates. They also referred to the need for environmental clearances and Indigenous partnerships, as well as the highway twinning projects in progress for other sections of Highway 11/17. I guess this is a start... Hopefully the government makes a commitment on this soon. If you ever end up taking pictures for any projects your way, I would certainly be interested in seeing them. I plan on visiting Winnipeg in January 2017 for a Concrete Toboggan competition; I might not have much time to drive around, but I'd be interested in seeing any cool projects if there are any. I don't think actual civil works for the Hwy 7-New project are going to start until either 2018 or 2019. Between now and then I think it's just this preparatory work, and utility relocations. I'd like to be wrong though, as I'd like to see the project start sooner than that. Unfortunately you're probably right. I know they can't start the 7/85 interchange until the bridge widenings are complete, but why can't they start the section between the two cities? what about the missing ramps at HY 8 and the 401? That would be a separate project from this one. Unfortunately I haven't heard of any plans for this happening. I wish it would, and I wonder why they didn't build those ramps in the first place. Because their is already a ramp from King St just west of ON 8? I get that there should be a freeway-freeway connection, but perhaps it wasn't (or still isn't) needed or feasible. Yeah, it's not a huge deal. But it would be nice not having to go through 4 sets of lights between the two highways. And Waterloo Region is growing quickly, so it could be more of a problem in the future. When the Highway 8/401 connector freeway was opened to traffic in 1987, the area surrounding King Street was still pretty rural, so motorists having to follow King Street wasn't much of an issue. Today, that's obviously no longer the case. 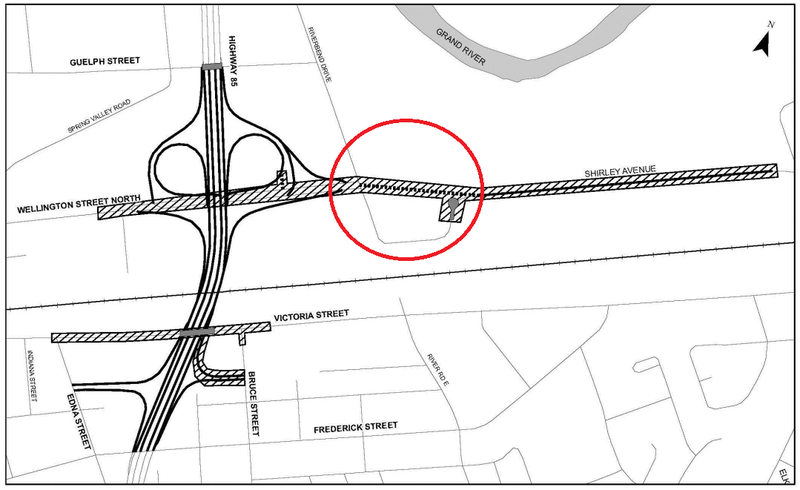 The biggest issue with linking Highway 8 to Highway 401 to the west is that the new ramps will need to cross the Grand River. MTO will be rehabbing/replacing the existing Grand River bridges that carry the 401 over the Grand River starting in a couple of years. (Off the top of my head, I think work is supposed to start in 2019). To stage the bridge work, the MTO will be widening the bridge deck to accommodate temporary traffic conditions. After the bridge work has been completed, this extra space will be able to accommodate the speed change lanes for the new connector ramps. All that said, it'll probably be 2025 or so before the Hwy 8 interchange is completed. The Ontario Ministry of Transportation has three stone farmhouses for sale on properties between Kitchener and Guelph, but there is a catch — you have to move them. "These heritage buildings are on properties that were required for construction of the new Highway 7 between Kitchener and Guelph. The ministry needs that property to build the highway, but we're offering these buildings for resale and relocation in order to hopefully increase the chance that they can be conserved," Liane Fisher, communications co-ordinator for the ministry's west region office in London, told CBC News. Anyone interested in the properties has until Friday to express interest. So far, there have been about 30 inquiries about the buildings, Fisher said. Is anyone here thinking of buying a house, or maybe 3? 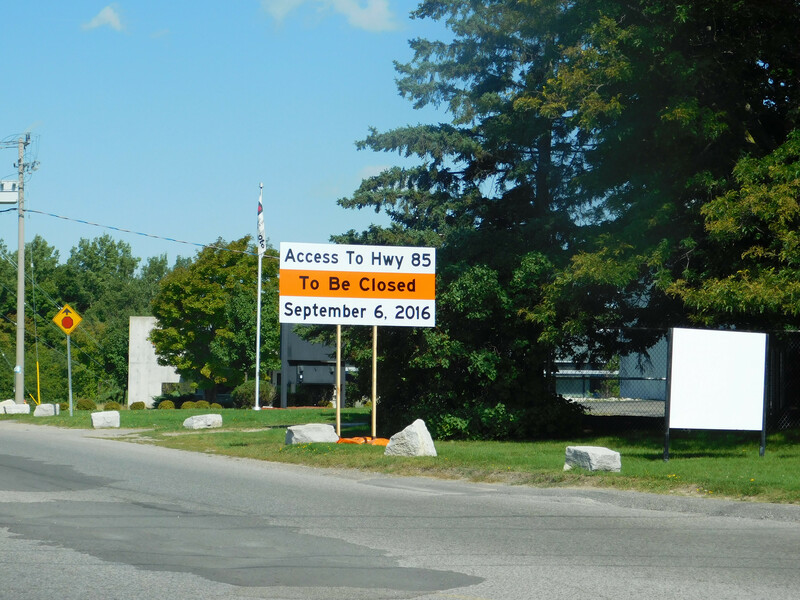 If sold, the houses will need to be moved by the end of 2017 in order to make way for work that needs to be done to prepare for the new highway, which has been long promised by the province. This suggests that there won't be much (if any) work going on between Kitchener and Guelph until the end of 2017 or even 2018. Last year, the Guelph Street bridge was widened and Fisher said they will soon be awarding contracts to realign Shirley Avenue and work around the Victoria Street bridge in Kitchener. Fisher acknowledged the houses need to be moved quickly because "there's a lot of work that has to happen in the near future," including utility relocation. The tender's been withdrawn, so clearly there were some issues with the process. Has anyone been able to find detailed drawings for this project, similar to the image quoted below? 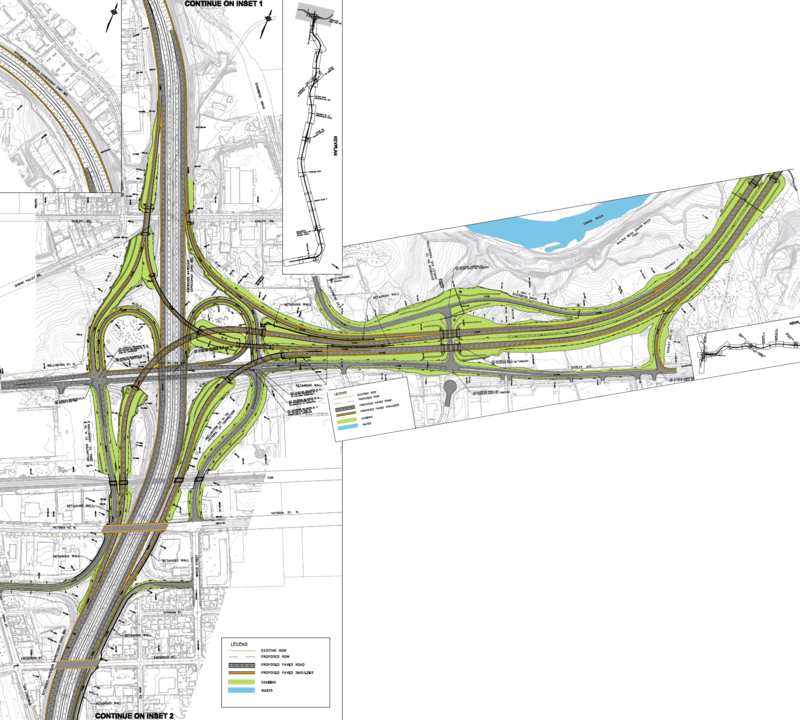 In particular, I would like to find a good drawing for the future 6/7 interchange in Guelph. While we're at it, let's also extend the Hanlon Expwy north to Fergus. I would argue that the higher priority should be converting the at-grade intersections on the current Hanlon to interchanges. I don't take the Hanlon too often, but I could imagine how frustrating all the traffic signals would be. At least this current project will get rid of one of those signals (Woodlawn Rd). At present the intention is to convert the Hanlon at grade intersections to interchanges/grade separations. Though the SHP does not have firm timelines, beyond what has been already announced. 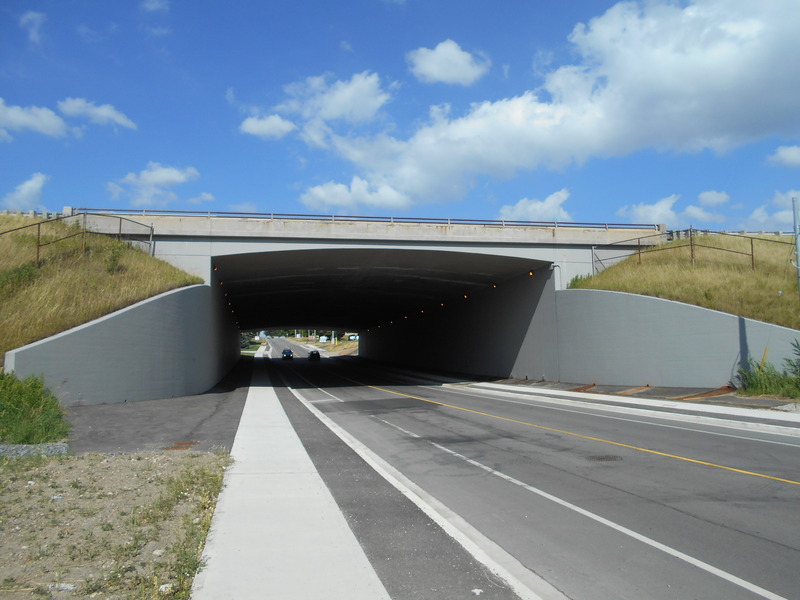 A northern extension of the Hanlon to bypass the built up area of Guelph has been studied in the past, but there are no plans to move forward with it in the foreseeable future. The section of Woodlawn Rd that Highway 6 follows at this time isn't quite as critical as other locations just yet. 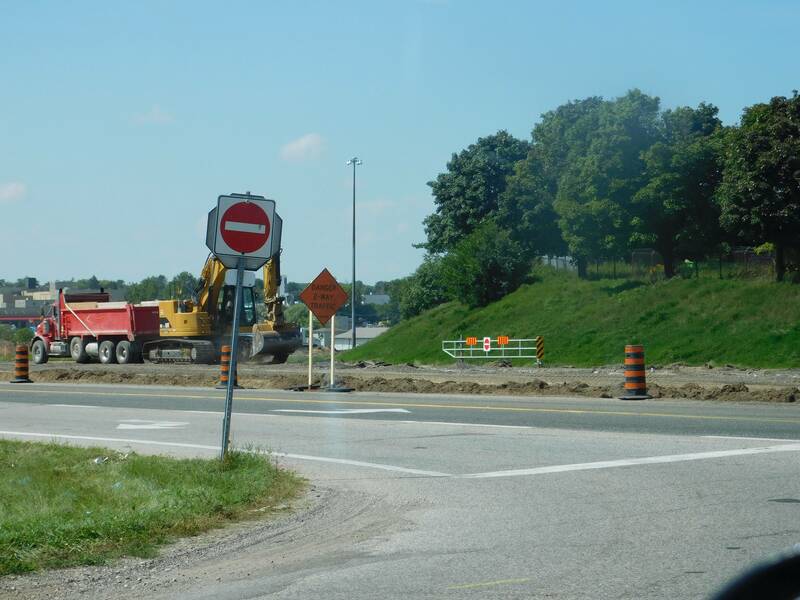 KITCHENER — Shirley Avenue will be widened to ease congestion and prepare for the new Highway 7 between Kitchener and Guelph. 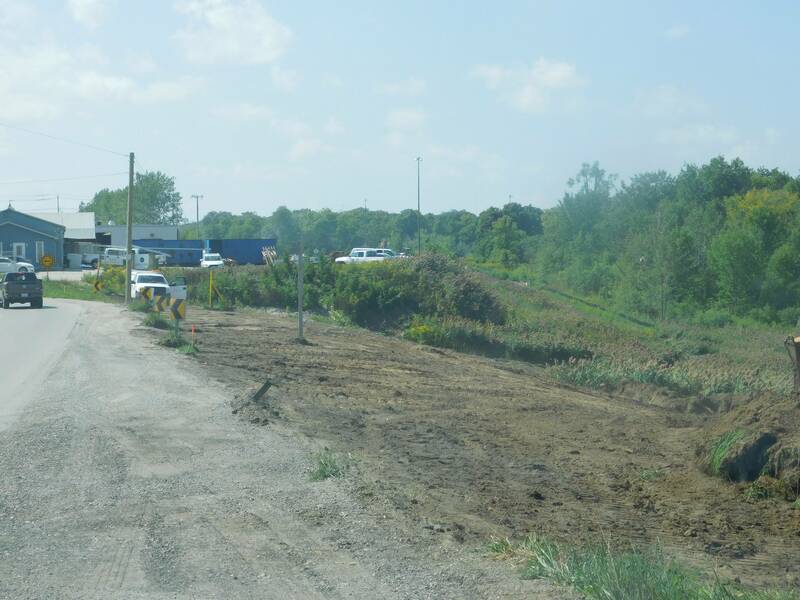 Work should begin later this month on the road in east Kitchener. It is expected to be completed in the fall of 2017. "This certainly is an exciting day," Kitchener Mayor Berry Vrbanovic said to a small gathering of politicians and officials alongside Shirley Avenue for a ceremonial groundbreaking on Thursday afternoon. "By getting this started, this certainly gets the ball rolling." 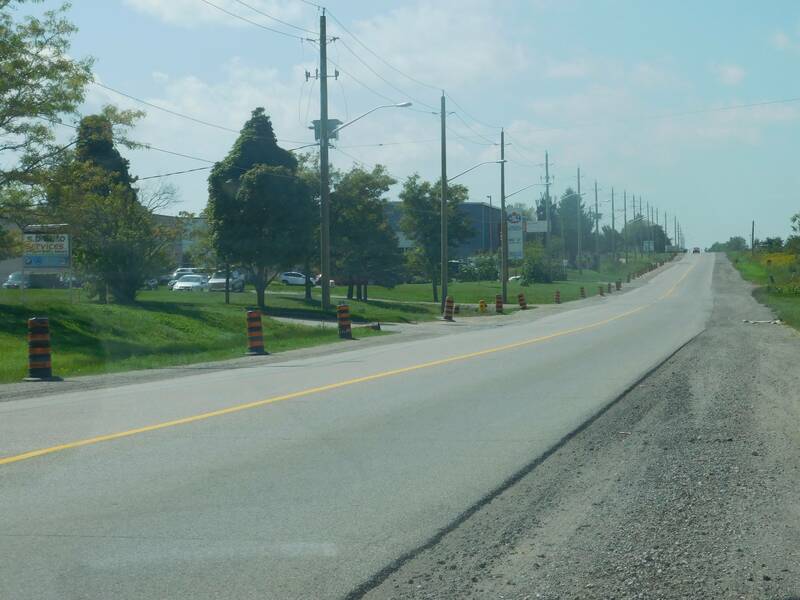 Shirley Avenue, which connects Wellington Street and Bingemans Centre Drive, will be widened from two to four lanes, realigned, and a two-way left-turn lane will be added. The project also includes reconstructing a section of Wellington Street North, and adding sidewalks and bike lanes on Shirley. The $11-million contract was awarded to Aecon Construction and Materials Ltd. of Toronto. Bingemans Centre Drive is four lanes, then it shrinks to two as it becomes Shirley. 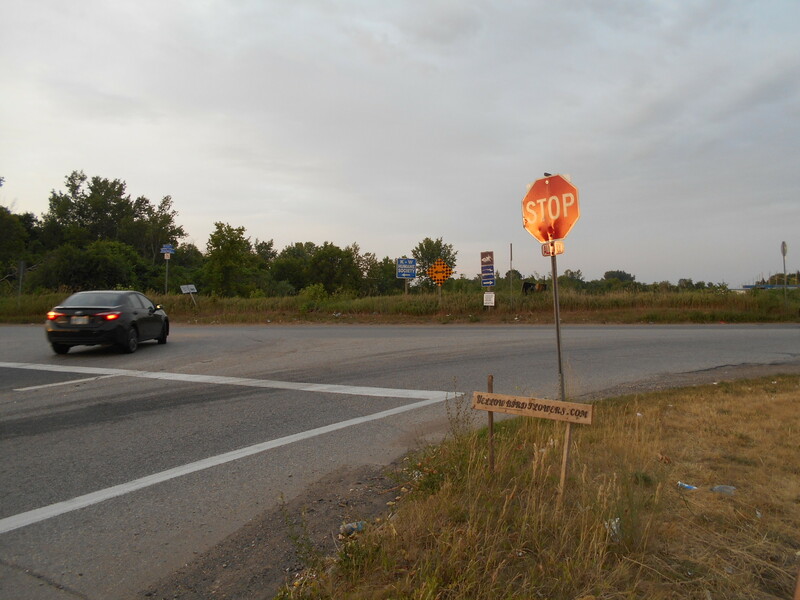 "As you drive down here, it tightens and then there's a bottleneck," said Kitchener Centre MPP Daiene Vernile, parliamentary assistant to the Minister of Transportation. 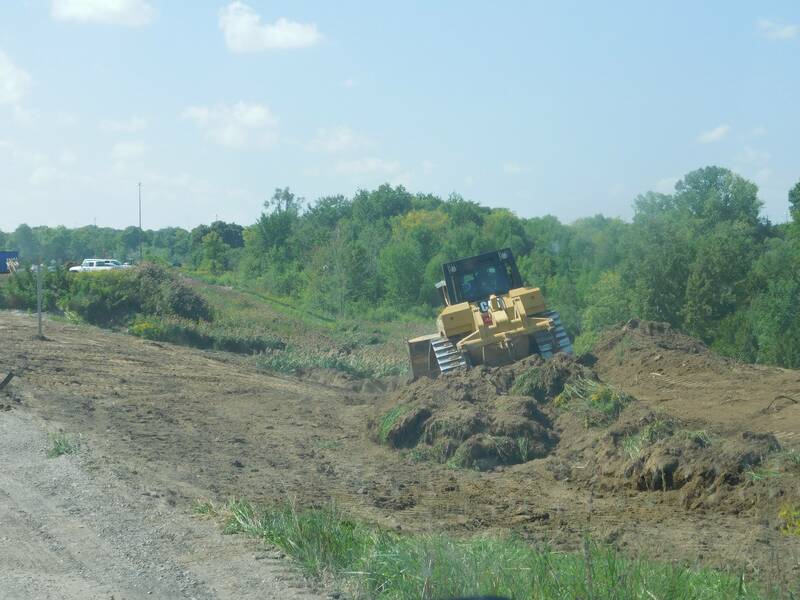 The improvements are part of the initial phases of the long-awaited Highway 7 expansion. Widening the Guelph Street bridge along Highway 85 was completed last fall, and after this comes replacing the Victoria Street bridge with a wider span. "As you know, highway projects do take time," Vernile said. The new four-lane divided highway will run parallel to the current Highway 7, and Shirley Avenue will form part of the interchange between the new highway and Highway 85. Vrbanovic is excited to see the project get underway, saying that the economy depends on the efficient movement of people and goods. 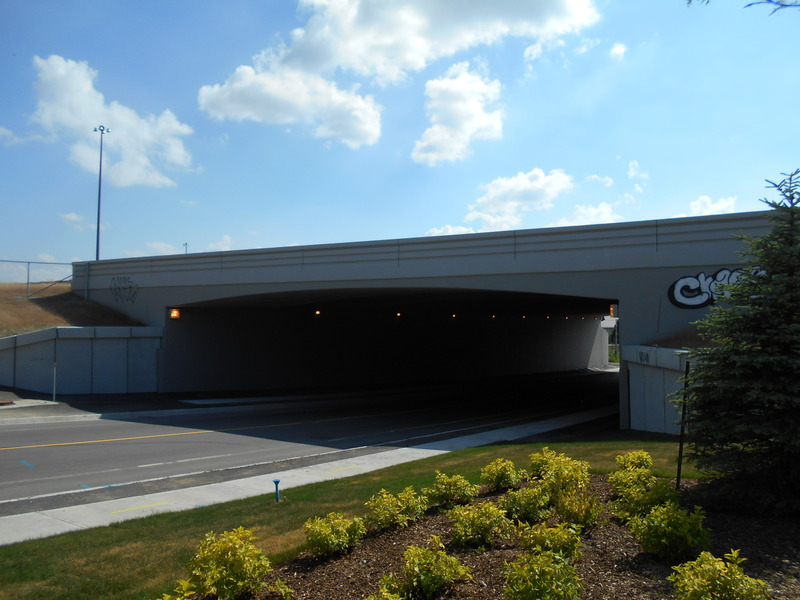 Often that's not the case on Shirley Avenue, and congestion on Highway 7 can slow traffic to a crawl as about 160,400 vehicles travel along that two-lane stretch daily. "That's only going to increase as time goes on," Vrbanovic said. 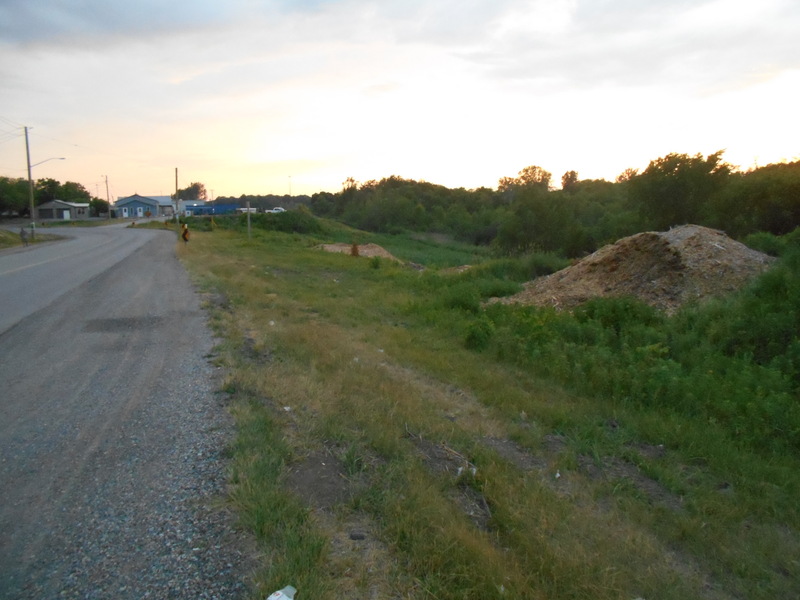 The Shirley Avenue work is a clear indication of the province's commitment to the highway project that's been a local priority for decades, he said. "There's a lot of preparatory work that needs to be done," Vrbanovic said. "Now we're at the phase where they've started the work." The downside is more construction for a city and region already dealing with extensive construction for the new light rail transit system. But the short-term hassle is worth it, Vrbanovic said. "In the end, we'll have something great for the community." 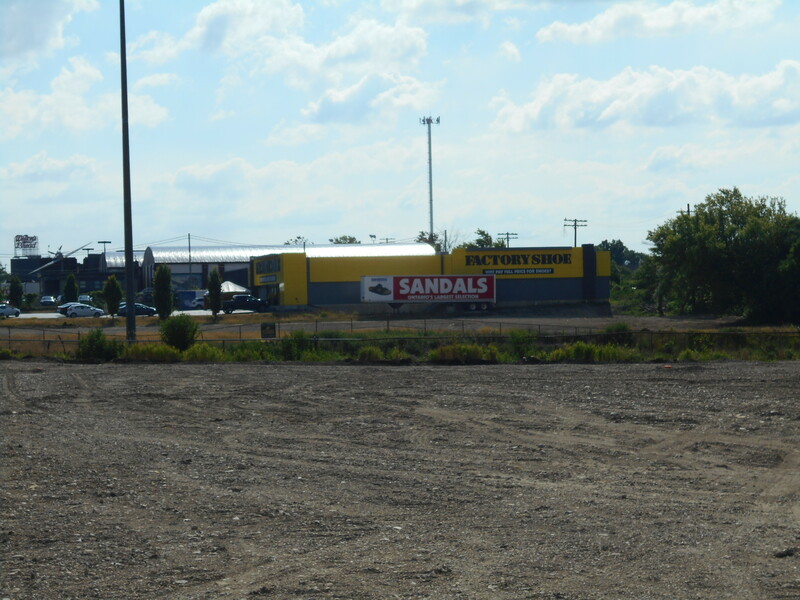 So, I ended up driving through today and noticed some early progress is being made. I took a few photos from my car. Wellington St WB blocked off with pylons. You can see the asphalt has been ripped out (next time I'll park in the nearby lot and get out, to get a better view of what's going on). Wow, 160,000 vehicles on a two lane road?!?!? That's a LOT!!! They really need a freeway there! I feel like an extra zero got in there and the article meant 16,400. Which is still a lot for a 2 lane road. Likely what they were going for, though that data is old. Most recent data is 21,800 AADT.